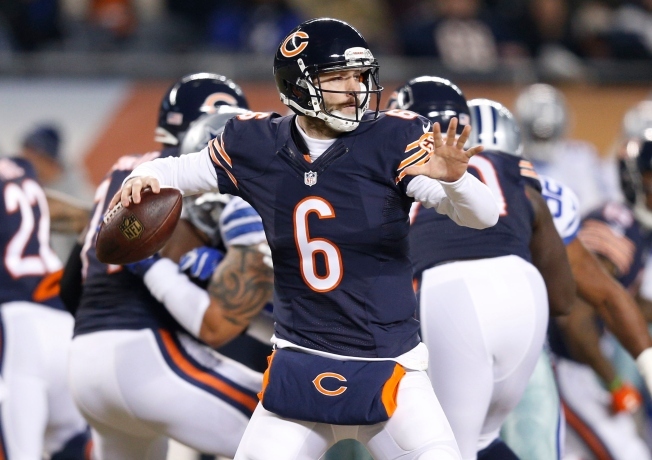 Could Tennessee be a Landing Spot for Jay Cutler? Jay Cutler #6 of the Chicago Bears passes during the first quarter of a game against the Dallas Cowboys at Soldier Field on Dec. 4, 2014, in Chicago, Ill. While it’s unclear at this point what the Chicago Bears intend to do with quarterback Jay Cutler after the season ends, the market for trading him is beginning to take shape. Numerous teams have been mentioned as potential landing spots for his services, with the Houston Texans, New York Jets and Buffalo Bills all potentially vying for his services. But the one team that seems to make the most sense, according to some experts, is the Tennessee Titans. As soon as Jay Cutler got benched in Chicago, the #Titans began doing homework on him, asking players and preparing their research. There is one caveat that has to be added to Tennessee’s status as a front-runner to land Cutler. Their record currently sits at 2-13, and they could wind up with the No. 1 overall pick in the NFL Draft. They do have a better strength of schedule than the Tampa Bay Buccaneers, however, meaning that if the two teams wind up with the same record, Lovie Smith and the Bucs would get the No. 1 pick. If the Titans get that selection, it would seem unlikely that they would trade for a contract like Cutler’s, with Marcus Mariota being their likely selection with the top pick. If they don’t get that spot, however, making a move to grab Cutler could make sense, especially with a wide receiver like Amari Cooper potentially being available to them to give Cutler a weapon to throw to. The Bears' decision to bench Cutler set off alarm bells as to what the quarterback's future with the team is, and one possible explanation is that they are looking to keep him from being injured ahead of a trade.